The development of biomass energy industry is directly related to the environmental pollution problem and the energy consumption status. In China, the whole country is aimed to prohibit coal burning in recent years, they prefer to use wood pellet fuels to replace coal. It makes wood pellets more competitive than traditional coal. In that case, wood pellet machines are facing a fast expended market in the following decade. Wood pellet machine is also called as biomass pellet machine, sawdust pellet machine, grass pellet machine, etc. This is mainly because the raw materials to make wood pellets are the wastes of agriculture and forestry industry, such as corn stalks, sawdust, wood chips, grass, rice husks, etc. Wood pellet machines can compress the wood raw materials into uniformed solid wood pellets. 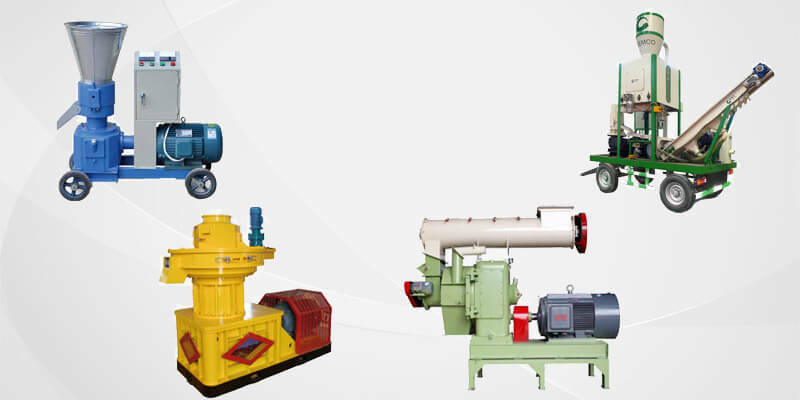 To meet different quantity wood pellet manufacturing requirements, there are different types of wood pellet machines. Wood pellet machines can be divided into small pellet mills and large pellet mills. Small pellet machine, also known as flat die pellet mill, normally contains a capacity of 250kg – 800kg per hour. This type of wood pellet mills often used for small scale wood pellet production. If you want to make wood pellets for your own pellet heating system, or you are a farmer who wants to compress the crop wastes into commercial wood pellets, small wood pellet mill is the perfect choice for you. Large pellet machine, also known as ring die pellet mill, contains a capacity of more than 1ton per hour. 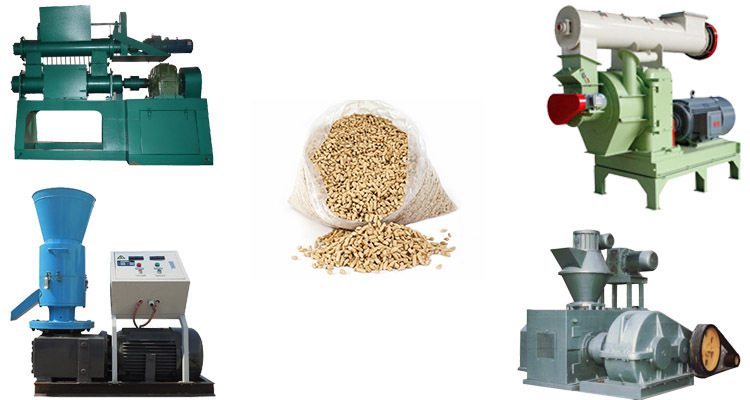 The development of ring die pellet mill is because of the rapid development of industrial wood pellet market. More and more people start to use wood pellet heating systems in their own home, and the thermal power plants adopt wood pellet and coal co-fired systems, therefore, the demands of large quantity wood pellet production grow rapidly. So more and more wood pellet plants have been established all over the world. For large quantity wood pellet production, flat die pellet mill can not reach the capacity demand, so, ring die pellet mill came into the market. The price of wood pellet fuel is much lower than the coal price. Based the current fuel price, the average price of each ton of coal is $30 higher than the price of each ton of wood pellets. The combustion of wood pellets creates less carbon emission, it is a type of renewable fuels which is environmentally friendly. But, on the contrary, coal is a type of traditional fossil fuels that create large quantity pollution gas during the combustion period. Wood pellets have uniformed appearance, small volume, and high density. All these features make wood pellets easy to transport and storage. Wood pellets have good combustion performance, before wood pellet compression process, the pellet raw materials have been fully crushed into powder, and the moisture of pellet raw materials have been controlled under 10%, which ensure the combustion performance of wood pellets. When the purity of coal is low, it can not be fully burned, it will create large quantity volatile components which include the unburned carbon, carbon oxide, polycyclic aromatic hydrocarbons, etc. All these components are contaminants that can heavily pollute the environment. Wood pellets have high volatilization rate and low ignition point. 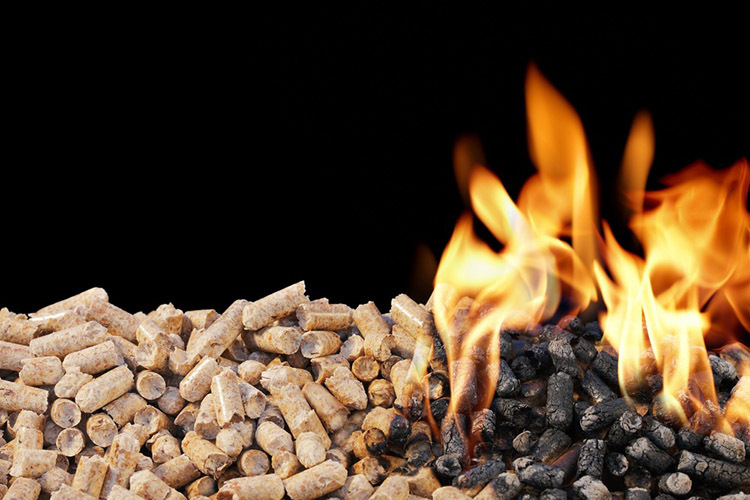 Wood pellets can be burned sustainably. Wood pellets can be used as the burning fuel of industrial boilers, right now, the industrial boiler manufacturers have developed the boilers specially designed for wood pellet combustion. Wood pellets compressed by wood pellet mills do not have the poisonous chemical components, so the wood pellet ashes can be used directly on the farms. The wood pellet ashes have large quantity organics, such as potassium. But, coal creates large quantity thiophosphorous compounds and coal residue after coal combustion period. If we throw the coal residues directly on the ground, it will damage the earth. Someone may ask that if the wood materials have such a good combustion performance, why can’t we burn the wood materials directly? Wood materials have different sizes, density, and moisture content. If we burn the wood materials directly, it is not that easy to ignite, as the moisture content of wood materials are normally high. Also, the different densities make the wood materials maintain unstable combustion performance. The wood pelletizing process consists of a series of wood processing steps, such as initial size reduction, drying, sieving, grinding, pelletizing, cooling, etc. All these processes give wood pellet the leverage to be a clean renewable fuel. Moreover, if the pellet is made of corn stalk, the pellet ashes after combustion can also be used as the farm fertilizers.